Bumpus and their powerful brand of soul music channels the uplifting energy of Sly & the Family Stone, the energy of James Brown and the reflective cool of Marvin Gaye. 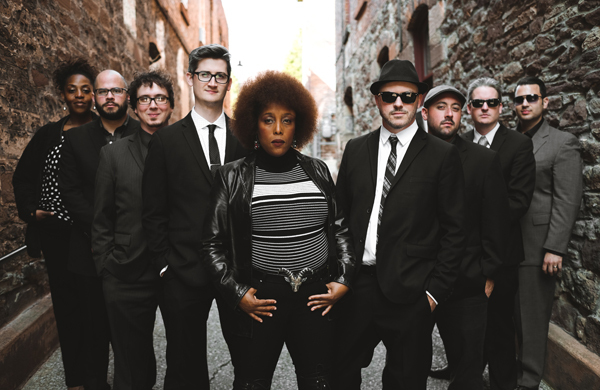 Led by singers James Johnston, Ava Fain and Tina Howell, they bring together funky big beats, deep bass, lush JB Horns and a heavy organ sound that results in a high-octane musical funk frenzy. Bumpus website: bumpusweb.com. 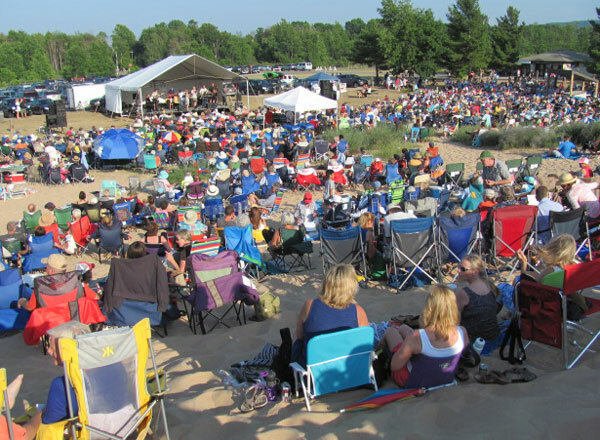 Imagine a beautiful summer’s evening at the foot of the Dune Climb in the Sleeping Bear Dunes National Lakeshore, hundreds of families enjoying their pre-concert picnics and then a musical program provided by artists of national stature: this is the magical mixture which has filled audiences with warm memories every year since the first Dune Climb concert in 1998. The setting is magnificent and the music is even better. 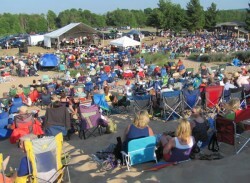 The concert at the Dune Climb is presented annually by the Glen Arbor Arts Center and is free to the public. Because of the unique venue and incomparable music it routinely draws a large audience. There is no charge for the 7:00 p.m. concert; however, a National Park pass is required for parking. Free shuttle buses will provide transportation to overflow parking lots. Bring chairs or blankets to sit on. Some folding chairs are also provided in front of the stage. There is no rain location for this concert.